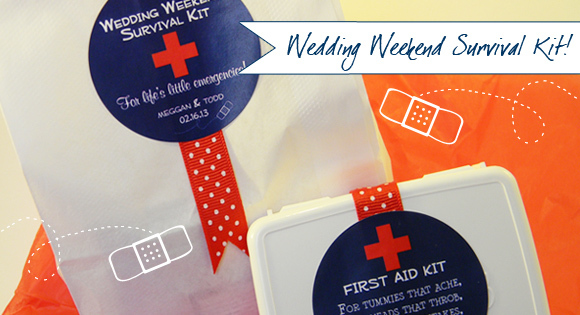 “Weekend Survival Kits” can be a super cute way to deliver some necessary goodies to your guests, whether for a destination wedding, a group trip, or even a bachelorette party weekend with the girls. 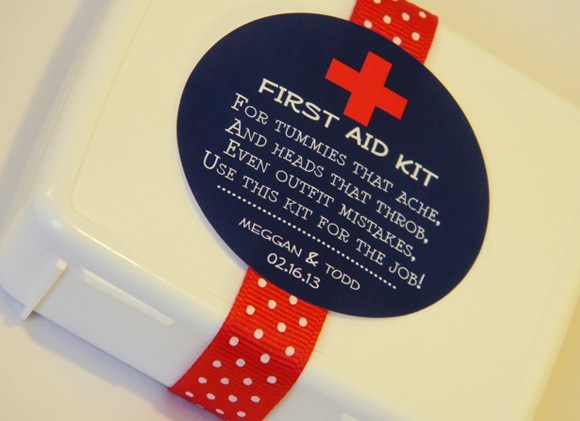 Fill them with just a few pharmacy go-tos or bulk them up with added toiletries convenient to have on hand at the hotel. Alka-Seltzer after a long night on the dance floor does wonders! 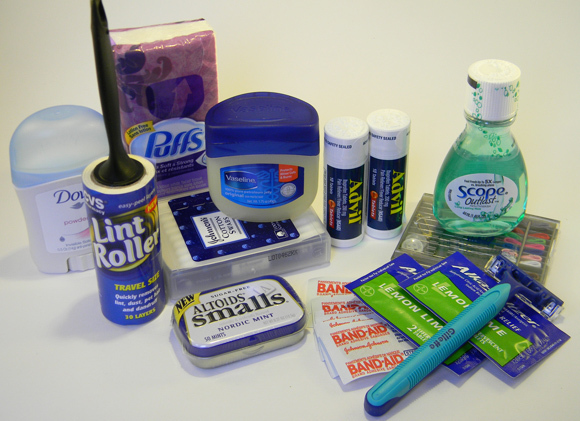 For a MINI KIT, choose a small container. 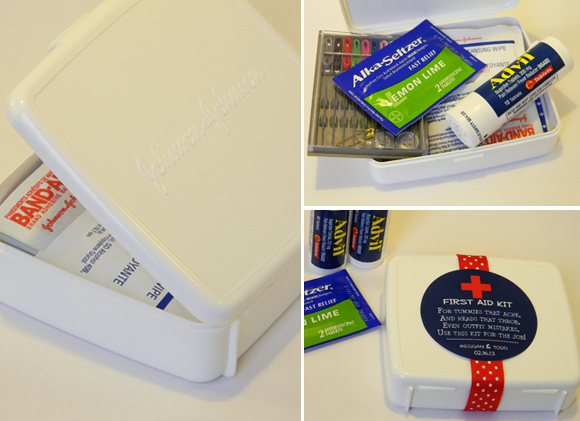 This ready-made kit from Johnson & Johnson was already filled with band-aids and first aid cream, and best of all came in the perfect white container. 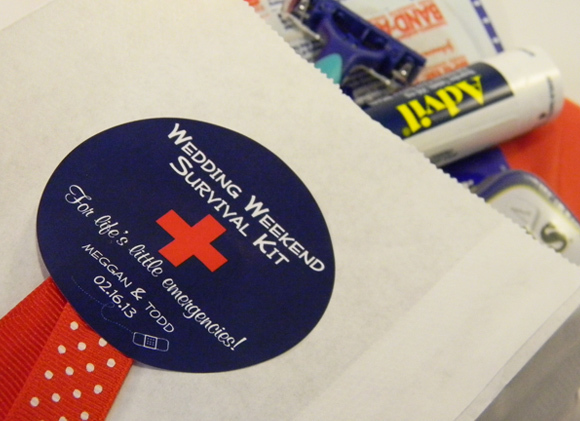 Make it your open by adding in a few more things ~ I was able to squeeze in a pack of Alka Seltzer, some Advil and a sewing kit. Get creative with your packaging. 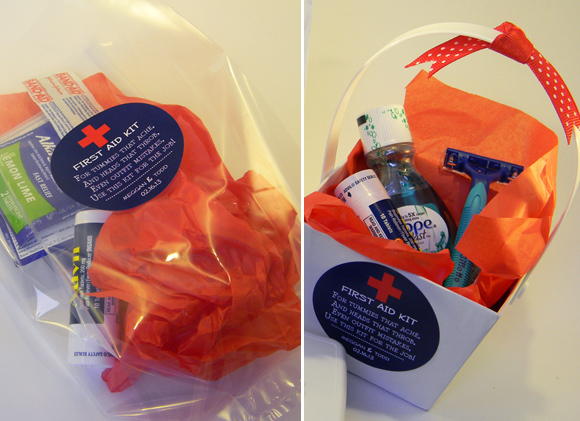 Clear bags and pails work well, too.